What to do with your garden waste? 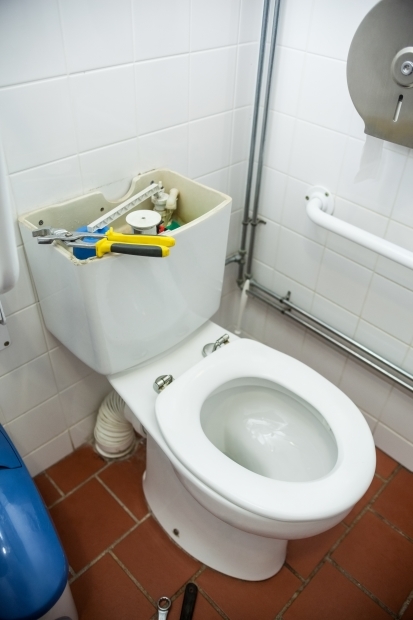 Fixing common household toilet plumbing problems are not always the most fascinating jobs, well but here are the tricks of the game that will give you a head start when plagued with the worries of common household toilet plumbing problems . Many might have advised you to go get professional help immediately you sight these problems, well if you read carefully, you will be a professional household plumber in a blink of an eye. Household plumbing problem is relatively the cheapest and easiest kind of plumbing problems. You ask why? Well it is because it can be solved by the average man in the house with a little help of the right tools and some basic advice. If you happen to use a first generation flush toilet of about 1.6 gallons then it seems, that you will always be plagued with the worries of a weak flusher. Sometimes a strong but partial flush may have the flapper valve waterlogged and emitting too much waste. Right below, there are some common plumbing issues , it causes them and the ways to repair them. Everybody must have experienced this. Clogs come as a result of the uneven maintenance of toilets. To fix this problem, all you need do is to enlist the help of a plunger. Using the plunger, pump out the clog from the drain. Well if that didn’t work out, then you might need of a closet auger for the several kinds of clogs or just wait for the plumber's professional touch. do toilet speak? Sometimes they do. How you might ask? Well through the ricking of water in it. You might have flushed ages ago but still hear the water refilling in the toilet , now this leads us to household toilet plumbing problem number two. Commonly referred to as "phantom flush,” this happens where the refill system in the bowl switches off and on sporadically due to a small leak between the tank and the bowl. The leak is located around the flapper. You might ask how can I demystify this problem, well you just have to either re-seat the flapper or replace the worn out one. this occurs as a result of a faulty float, or valve assembly, where a hissing sound is made only in the tank. Observe the following things, is the hissing sound coming from the tank is directly affecting the position of the float valve. Fixing the problem, you will need to correct the float’s position and check the position of the refill tube ensuring it is not in a position to overflow.